Tobias D. Robison tobyr21 at gmail.com . If you like fantasy novels as well as fantasy games, please check out my fantasy novel for adults. The web site is: RavensGift.com . You can listen to Raven’s Gift, get the eText, or buy it at Amazon. Are you spending too much time sitting at your computer? 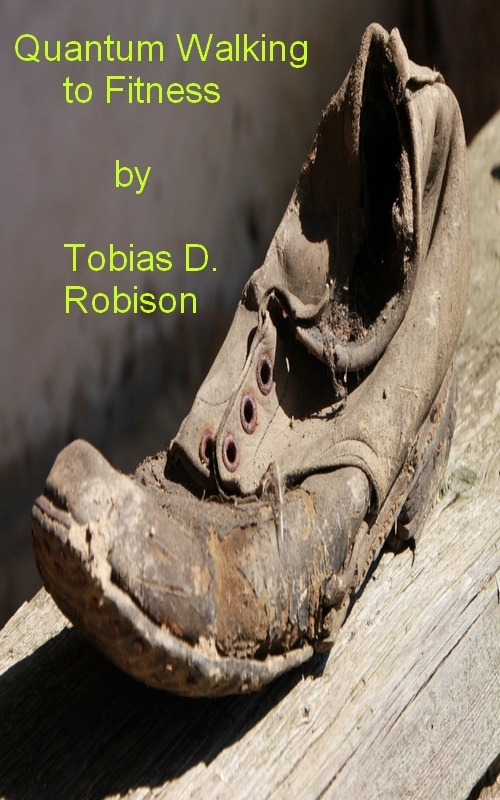 You may be delighted to read my new help-yourself book, Quantum Walking to Fitness, available in all eformats at Smashwords. This is version 1.1 of my tips. It's current for "Update #1" of the game. Please help me to make these tips better, by emailing me. When I started to play “Order and Chaos”, I was puzzled by game mechanics that experienced players take for granted. If you are new to this type of game, my tips may help you. There is in-game help. Help options include the ability to "break away" to the nearest cemetery for free, when not in combat. This capability is provided in case your character gets physically stuck, but it has other uses as well. When you click on the in-game map, try enlarging it (with a spread-your-fingers motion). In its largest form, it will often show you exactly where to go, to do your current quest, or to get another quest. For incredible map detail, check out: orderandchaosmap.com. This is a detailed map of the game that acts like a Google map, and you can click checkboxes on the side to highlight specific kinds of locations. When you keep running for a while, an encircled white arrow appears on the screen. If you press it while you are still making your character move, you will enter “auto run” mode, allowing you to rest your left thumb until you want to stop moving. When you are searching an area to find NPCs that can offer quests, remember that if you are too far from them, you won't see them. Glancing quickly at a plaza may not be thorough enough. Tap the map+ sign at the top right of the screen. You can then see what useful NPCs are nearby, even if they are hidden within a nearby building. Consider playing at a relaxed pace and not just rushing around. You're exploring a world. You can often avoid walking through a dangerous area, or find a short cut, by climbing over mountains. Look hard for ways to get to high ground. There are often "updrafts": places where it's remarkably easy to climb high. There's a wonderful direct two-way route between Windmill Farms and Greenmont over the mountain range by the water. Another great way to avoid dangerous travel is to swim. Swimming is often the fastest way to get somewhere, and there are no enemies in most waterways. But beware: it can be hard to climb out of a waterway, and you may have to overshoot your destination to get out. I believe that you get a fighting advantage if you are on higher ground than your enemy. When you check a quest, the game arrow will show you where you have to go to perform that quest. (For multi-step quests, such as killing three specific people, the arrow will take you to the nearest alternative.) The arrow is incredibly precise in most cases, even leading you to exactly where you have to “search” for something. Tap twice (not once!) on something in order to "gather" it. For some reason, many bubbling corpses will respond to a double tap, but not to a single tap. You often must double tap to pick up a quest item. When in doubt, double-tap. -- You might be at the wrong height. Perhaps the person is upstairs or downstairs, or in a cave way below the mountain you are standing on. -- You may have to wait (maybe more than five minutes) for that person to appear. -- You may have to use a quest item in your bag to make that NPC appear. -- etc., etc.... Cudgel your brain. -- when the dialog box opened, was there a button you could click on, in the text? Try it. -- when the dialog box closed, if the focus circle under the NPC changed from green to red, you should fight them at once. -- if you can't even talk to them, or talking to them does nothing: were you given an unusual quest item? Try USING it on them (click on the quest item and then click on 'use'). -- pick off the bad guys, one by one. -- kill the great big leader of the bad guys. -- rush into a dangerous place and grab something before you get killed. -- visit an NPC who is in a dangerous area, difficult to reach. “Teaming” can be a lot of fun. I believe that when you team, you and your team share the experience points for what you accomplish together. That means (I think) that you get fewer points for each kill, but you get points when your team members kill. Think of your team as temporary, something you set up to deal with the current situation. I needed to enter an evil location that was guarded by two highlevel killers that took me out at once. So I lurked near the entrance until another adventurer came along. The killers pounced on him, and I ran in. I needed to enter a building to grab something, but it was well-protected by bad guys. I waited until there were several adventurers attacking the same area, killing bad guys left and right. They cleared the field for me to make a safe dash. I needed to kill an animal leader that always attacked me with two “assistants”. I attacked it when there were many adventurers around, killing everything in sight. The first two times I tried this, I killed the assisting animals and someone else killed the leader. The third time, I got the leader. We all helped each other. I needed to cross an area that was full of dangerous enemies. I was able to cross safely (and kill a few of them) while other players were battling all around me. Once something is bound to you, you cannot trade it, auction it, or mail it to another character. You should think twice before equipping an item that “binds on equip”, since that will cost you a chance to trade it, or to mail it to another of your characters that can use it better. It’s very relaxing to perform quests that take you among enemies at much lower levels, who barely threaten to kill you. But such quests may not help you to level up much. Watch the yellow line (the one that shows your leveling progress) when you complete a quest. If you can hardly see the yellow line advance, then the quest rewards are too small, and you should move on. The entire Wiki at this site is very useful. I hope these tips are helping you! Please check out my fantasy novel at RavensGift.com. Tobias Robison tobyr21 at gmail.com .